За региона, EN | Guest House "TOTI"
The village of Gorun is a small, tranquil Dobrudja village, located on the international road E87 Varna-Balchik-Kavarna-Shabla-Durankulak, 4 km. from Shabla, 13 km. from the town of Kavarna and about 4 km from the sea shore. The strategic location of Gorun – the proximity to the seashore and ecologically clean nature, provide the opportunity to combine rural with other types of tourism – marine, hunting, sports, ecological and cultural. 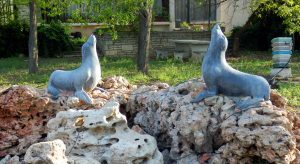 Your stay will be varied if you visit the Shabla Tuzla – lake – lagoon, rich with its hydrogen sulphide healing mud and mineral water, the Shabla lighthouse, the symbol of the Northern Black Sea coast – Cape Kaliakra and the botanical garden of Balchik. › In the nearby village Tyulenovo, about 8 km. from the “TOTI” guesthouse, there are sea beaches with beautiful rocky bathing bays dotted with underwater caves. You can often enjoy dolphins playing among the waves. A natural bridge will take you into the sea to explore the marvelous cliffs overlooking it, a habitation of cormorant colonies. › Shabla (9 km), Ezeretsiko (11 km) and Durankulak (25 km) lakes give opportunities for hiking, hunting and ornithological observations. 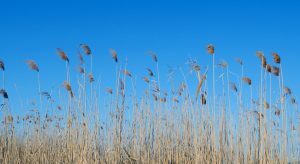 Located near the seashore, on Via Pontica’s main migratory migration path, the lakes preserve an incredible wealth of plant and fish species, marsh and waterfowl. 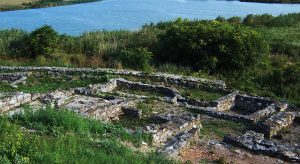 › On the Big Island in Durankulak Lake is the ancient cave temple of the Thracian Phrygian goddess Kibela, necropolises from different epochs – prehistoric, ancient and Bulgarian. Here are the remains of the oldest and largest Neolithic settlement in continental Europe dating from 5200 to 3800 BC. 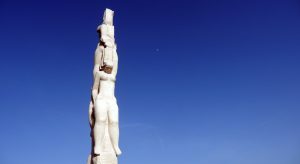 Often Durankulak is compared by the specialists with Troy, but about two millenniums older. 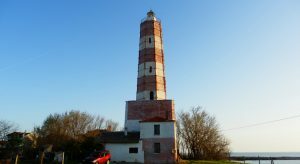 › On Cape Shabla – the easternmost point of Bulgaria, stands the oldest and the tallest (32m) lighthouse in Bulgaria built in 1856. under a project of French engineers. Painted in white and red with walls 1.20 meters thick and 132 steps to the spotlight, its light is visible 17 miles deep into the sea. Surroundings can be seen from the ancient harbor of Karon Limen and a late-antique fortress of 4-5 c.
› 25 km. from the village of Gorun there is Cape Kaliakra. The nose is 2 km. in the sea, resembles a peninsula and is a natural and archeological reserve and one of the 100 National Tourist Sites. The area is also known for the dolphins and the wide variety of seabirds nesting on the rocks. 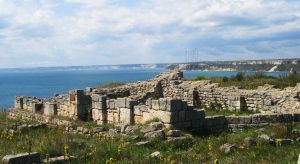 Archaeologically, Cape Kaliakra is a classic ancient and medieval fortification center, the capital of the Dobrudzha despotism of the Second Bulgarian Kingdom and the residence of despot Dobrotitsa. 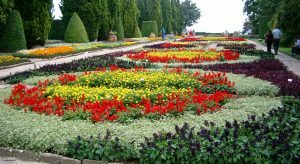 › The botanical garden of Balchik has existed since 1955. The place is great for both lovers and experts in the field of plants. The architectural and park complex “Dvoretsa” is also located in the “yard” of the botanical garden. In the early twentieth century, it was used by Mary Alexandrine Victoria de Edinburgh (the Queen of Romania) as a residence. › 4 km away from the country is Kamen Bryag with Yailata National Archaeological Reserve“ – a 300-acre seaside terrace, separated from the sea by 50-60 m of rock massifs. Yailata not only preserves interesting and significant cultural and historical monuments, but is also a unique natural resource. The vegetation and the animal world are diverse. There are over 178 bird species nesting and more than 270 species of fauna are registered. 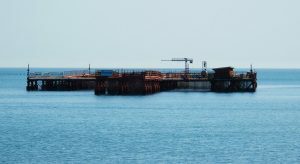 › Mussels farms “Dalboka”, that are 15 km away. from Gorun, will offer delicious specialties of mussels, fish and other seafood.